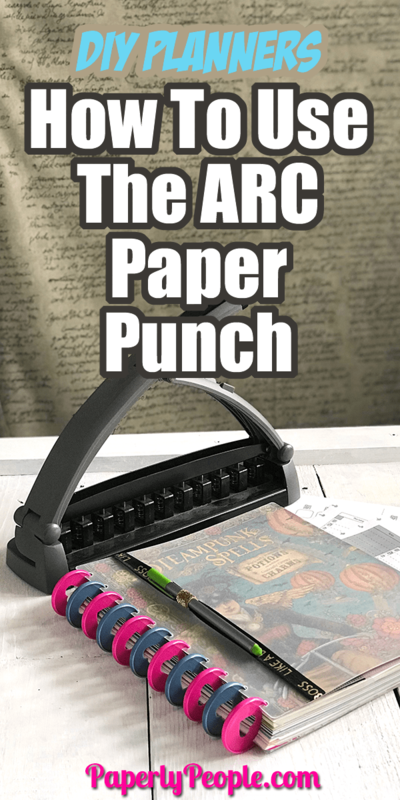 I won’t lie to you, the ARC Paper Punch was the weirdest, most confusing part of the whole process when I was considering doing a disc bound planner. 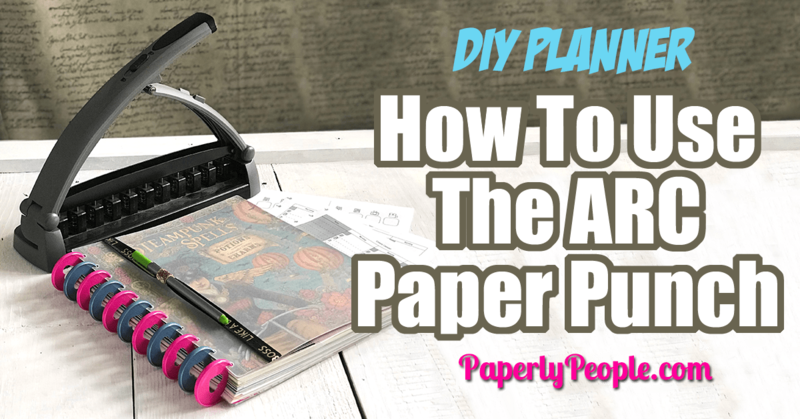 Here are my best tips and ideas for how to use the ARC Paper Punch! What Is An ARC Planner? Yes, I had gotten her into the car with all (most) of what she needed for a week at camp, but like normal it was a freak-out, scramble time before hitting the road. I was thinking there has to be some kind of planner that would help me get more organized! Now don’t get me wrong, I wasn’t some planner virgin, I had tried all the pretty planners and was currently using an Erin Condren, but DAMN, it was FULL of papers falling out (copies of her birth certificate, signups for horseback riding and other vital papers) that I had crammed in there that morning because I couldn’t stand to have them in the weird sized planner for the weeks leading up to departure day. 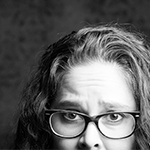 I was having a Scarlett Ohara moment… I will NEVER BE THIS DISORGANIZED AGAIN! It was about an hour and half drive and part way through I saw a video of a lady showing her planner. It was TERRIBLE video, I could hardly hear her and she didn’t say how the planner helped, but it was a full sized, paper planner that you could customize yourself… what was this magical unicorn?!?! 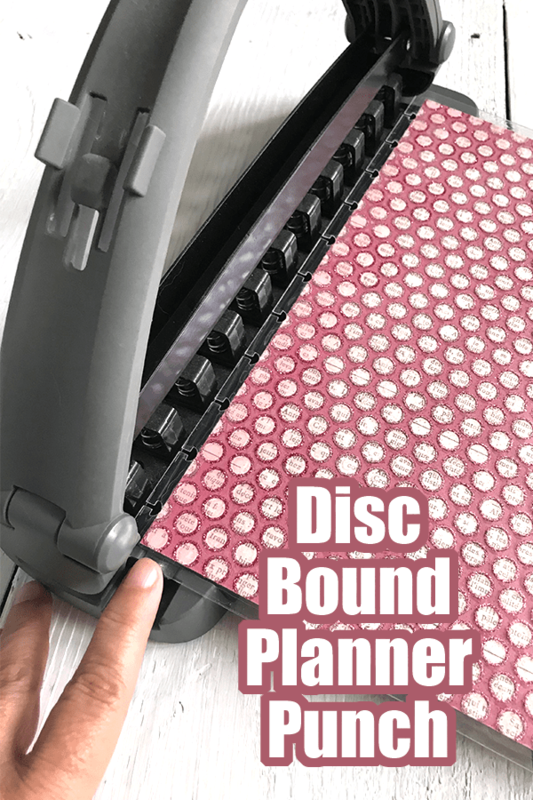 Here is a better video about what a DISC planner is! I also have a cute to do list that I punch in, cool dividers for organization and oh, oh, oh, even travel confirmations that I don’t need for months! No more papers laying around everywhere waiting to be lost! 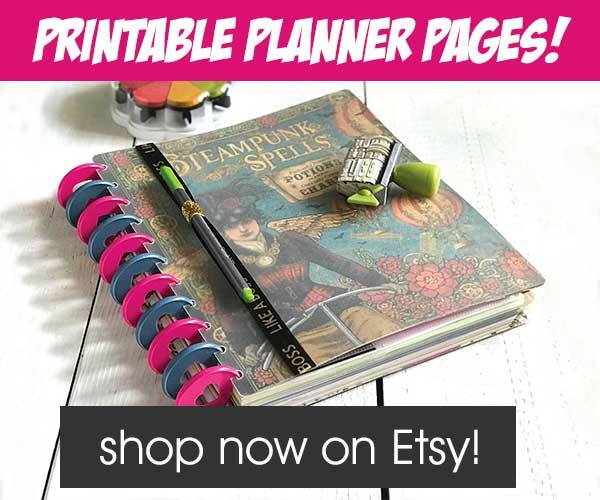 Once I print something, I punch it into my planner and never have to wonder where it is hiding! Alrighty then, hopefully you understand how cool the ARC planner system is, but how does the punch work? I know that was my big question when I was getting started! Functionally it is exactly the same as using a three hole punch that we all have used since childhood. You slide the paper in and push down on the handle to punch in the weird shaped holes! Why Does It Have Weird Shaped Holes? Okay, just one quick aside that totally freaked me out at first. Why do the holes look like little mushrooms? This is because the “disks” that the paper hooks on to has an inset center that the punched paper slots into! When you want punch in things that are a little bigger than letter sized (or junior sized) you just need to pull the slider down a little but and this lets the bigger sized pages or inserts sit evenly on the Discs. I think it is because of the “mushroom” thing. That tiny little slot in the paper where it hooks to the rings, keeps them from getting all dinged up. I honestly can’t remember any pages that have gotten so beaten up that I couldn’t use them. Honestly, if you are reading a post like this you are probably in the very beginning part of learning about ARC Planners so I thought I would answer some of the questions you might have! What Are The ARC Notebook Rings? You have to use the punch to make the holes that let the paper slot into the rings. You can use Staples ARC rings, MAMBI (Me and My Big Ideas Rings)… I love these because they have heart holes in them, or Levenger rings. The rings are all interchangeable, although they might “hang up” a wee bit if you are using different punches than the rings. 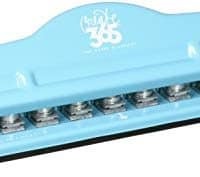 Is There An ARC Hole Punch Alternative? YES! You don’t have to use just the ARC. Levenger and MAMBI (Me and My Big Ideas) both make punches that work on disc bound planner systems. Are the Levenger Circa, MAMBI Happy Planner and Staples ARC punches interchangeable? YES! I use the Staples ARC punch because I like doing multiple pages at the same time (I can get about 8 done at once) BUT I got my besty a Levenger punch and it worked just the same as the ARC punch. MAMBI’s punch is the right size for the their smaller planner. Which is the best disc bound punch? 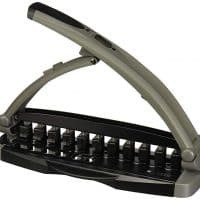 For your office … If you are a work from homer like I am or using a punch in an office setting I would definitely recommend using the Staples punch. It allows you to punch more pages and is much more precise than the smaller, hand held ones. On the go… that said, if you don’t have one of the smaller, portable punches you could lose something before you get a chance to go home and punch it in. It is really worth while to have a portable punch if you are going all in the Disc Planner system! Picking the right punch depends on your needs! 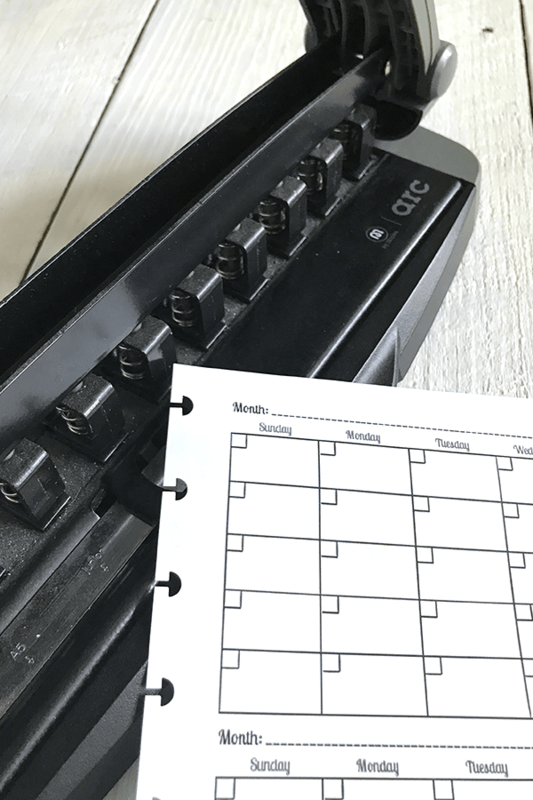 If you generally plan in your home office then the larger Staples punch is the way to go! 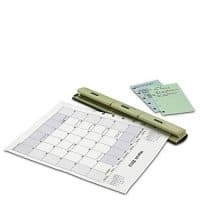 If you do more planning on the go then the Levenger punch would be perfect for you! These both work for letter sized and junior planners. 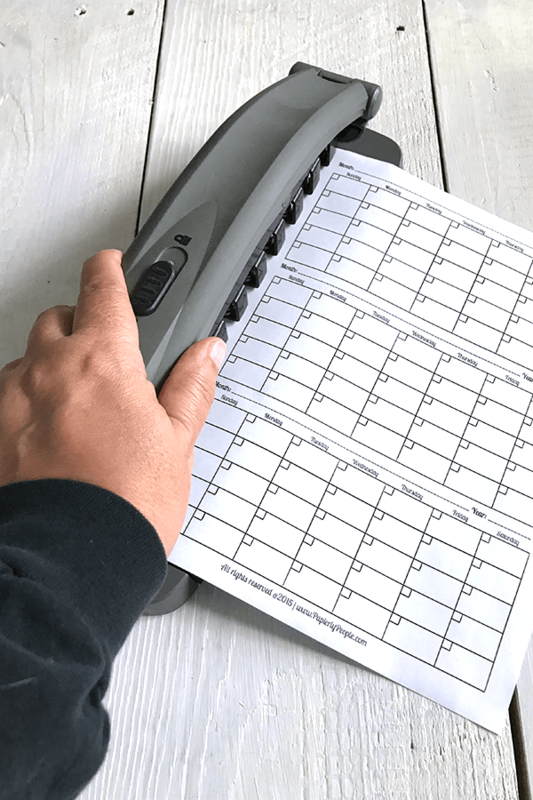 The MAMBI punch is specifically Happy Planner sized. 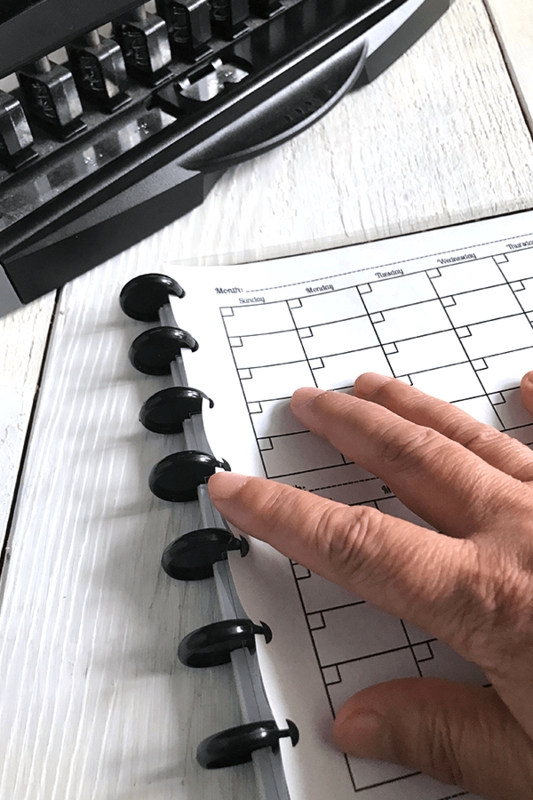 Previous Post: « Should You Plan In A Paper Planner Or Online?